An article ran in The Journal News of New York this morning about the return of the Friends Album to the Young family. It’s so neat to finally see the photo of Stanley Young III and his father, Stanley Young, Jr. I searched for them for so long. It’s also really interesting to read how they are seeing familiar features in so many of those pictured in the Friends Album — it’s just as I’d hoped. 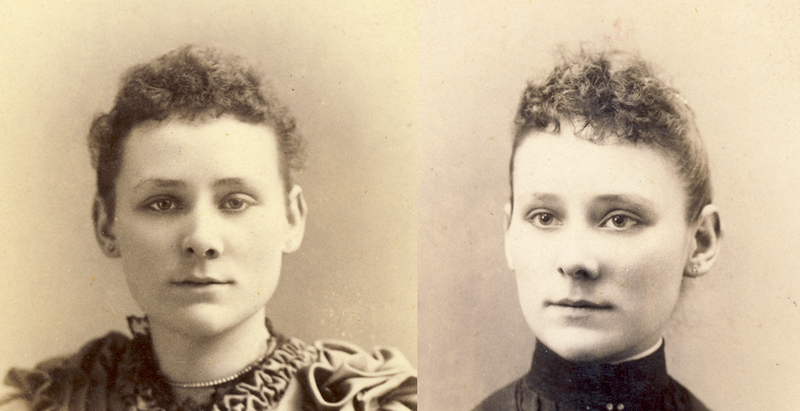 In addition to the identified people in the album, it appears that still more of those in the photographs also are relatives of the Youngs. The Friends Album Has Found a Home! I just received a call from one of the descendants of the Young family from the Friends Album. This is the gentleman to whom I mailed a letter with a photo of Cornelia Morris (his 4G-grandmother) and a copy of the family tree that I put together. He said both of his parents are still alive and in their mid-80s. He confirmed the family has strong connections to Danbury, Conn., and Yonkers, N.Y. (where this gentleman was born). They are thrilled to have the album coming their way — I hope to send it to them this weekend. I can’t even describe how elated I am to be reuniting these photos with the family! * Updated 7/1/2011: I spoke with Stanley Young III again last night and he said he was mistaken and he actually hadn’t seen the photo of Cornelia Morris before. Nevertheless, he now has the Friends Album and couldn’t wait to show it to his parents over the 4th of July weekend. Friends Album: On the Trail of Stanley A. YOUNG, Jr.
Calvert H. Young + Helen M. ???? I should have done a quick look-up of Painted Post at this point, but instead I went to the Tribune web site and there I did luck out. I found the obit. And then my heart sank. It listed a sibling I hadn’t found yet. That finally prompted me to look up Painted Post, N.Y. It’s more than four hours away from Yonkers, where it appears the family of our Stanley hailed from. Darn! Not our guy. I was back to square one, at least with Stanley. When I looked up this Stanley Young, Yonkers came up as a former place of residence. I found the names of his wife and children. I found the street address and phone number for his son. The problem with sites like pipl.com, especially when searching for people who are advanced in years, is that they don’t always capture the fact that the person you are looking for may actually be deceased. The Stanley Young I’m searching for would be around 85 years old. There’s a very good chance he is alive, but there’s also a chance he isn’t. I’m going to start with his son. I’m a bit too chicken to call him up, so I’m contemplating writing a letter. I haven’t managed to find his email address yet, which would be ideal. RootsWeb Obituary Daily Times record, Stanley A. 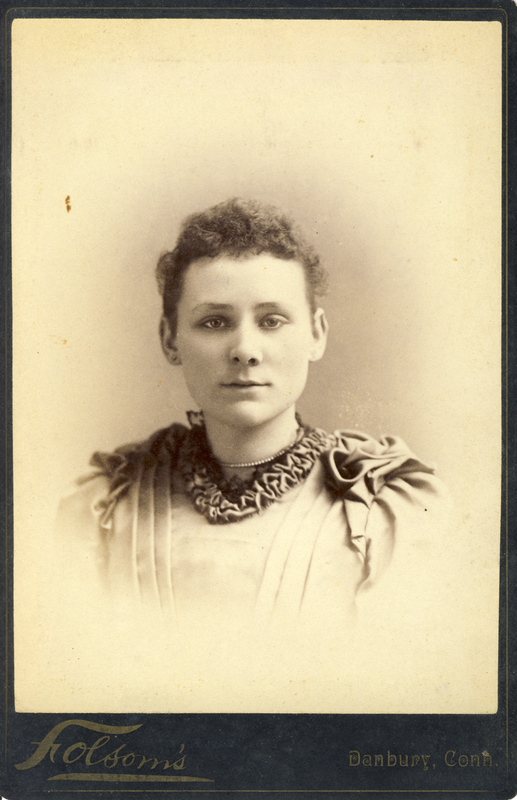 Young; RootsWeb (http://www.rootsweb.ancestry.com/~obituary/ : accessed 27 May 2011). Social Security Death Index record, Stanley A. Young (Florida); Ancestry. com (www.ancestry.com : accessed 27 May 2011). In this stage of research for the Friends Album, I find myself hampered by my physical location. For the most part, I’m restricted to using online records. I’ve almost come to the point where I’ll need to try and locate a co-conspirator in at least Connecticut to help me finish this project. I found Cornelia and Henry along with their children, including a son Calvert, in the 1860 census. Calvert is about the age of 9, but there’s no trace of him in later years. Perhaps he died young. I couldn’t find anything beyond census records up to 1880 for their daughter, Martha. 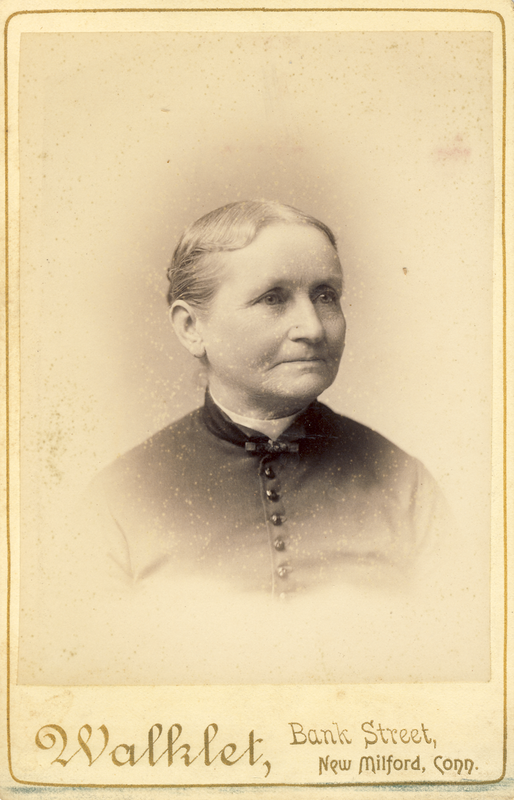 Mary L. Morrill also married into the Young family. 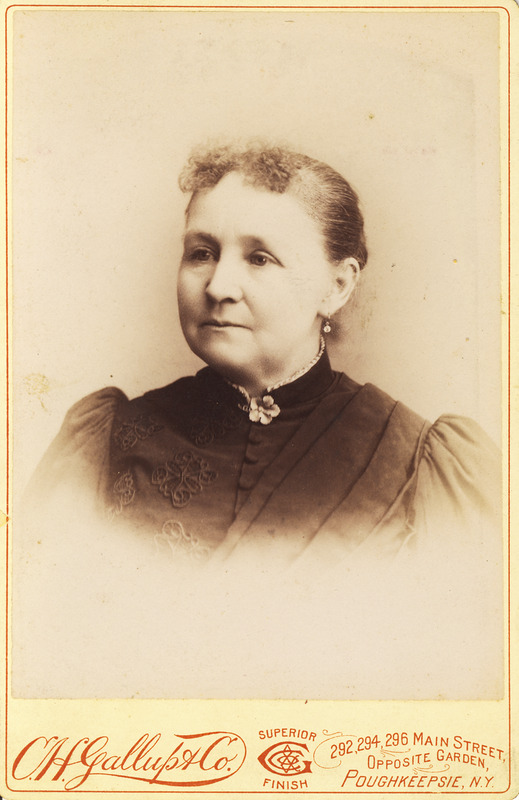 She and her husband, Stanley, Cornelia’s and Henry’s other son, had several children. Among them was Calvert H. Young. I found him in the 1920 census in Yonkers, N. Y., which incidentally was the setting for several of the photos from the Friends Album (see Photos 3 & 4, Photo 14, Photos 30 & 31). 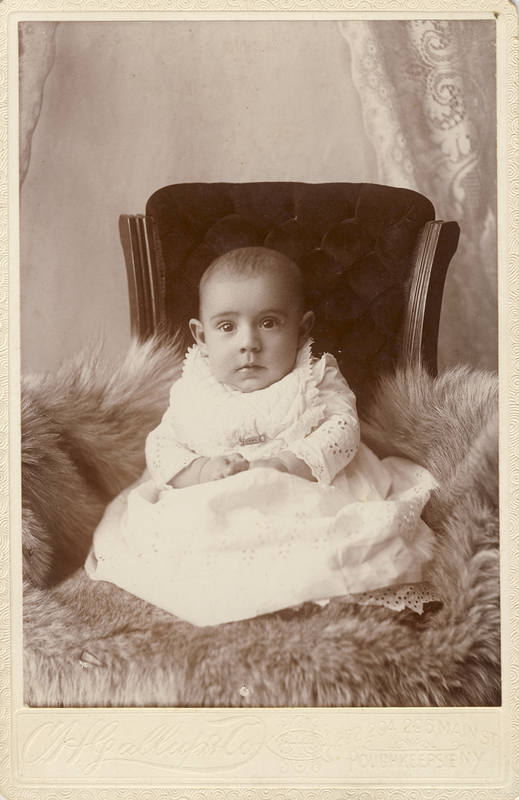 Calvert and his wife, Clara, had a son, Harold, who was 4 years old at the time of the 1920 census. But Harold wasn’t Calvert’s only child. I also found him in the 1910 census with two nearly grown children — daughter Nathley (age 21; apparently her name actually was Nellie/Natalie, as evidenced by other records I found) and son Stanley (age 17). I’m finding that there were a ton of Harold Youngs, many originating in New York, and so it’s difficult to find military, death or other records that are definitely his. I moved on to Stanley and this is where reviewing another Ancestry member’s work paid off. I found a 1930 census record for Stanley’s family, including his three children. One of them was still another Stanley A. Young. I’m getting close! More on Stanley A. Young, Jr., in an upcoming post. I think he’s going to be the key. I also looked at another sibling of Calvert’s — George E. Young. I think I found him in the 1910 census in Danbury. He and his wife Katherine/Catherine had several children, including a son named Egbert. I figured the name Egbert would be easy to find. I found him in Danbury city directories for 1921 and 1922, but he’s not to be found in 1924. I haven’t found an SSDI record for him. Perhaps he died in the 1920s? The obit isn’t available online so I’ll either need to travel to the Library of Congress to view the record or find someone in Danbury who can look it up for me. Moving on to George Young, Richard’s and Egbert’s younger brother. I found a casualty report on him from WWII, but not much else. Going back to the sisters in this family, Antoinette M. Young married Norris Ballard according to another Ancestry member’s family tree. There’s no source for the marriage, but there are death records to use, if needed. The tree lists the names of their children, but I hesitate to follow this line any further without more evidence. Going all the way back to Stanley and Mary Young’s children, William H. Young is the next subject to be investigated. Apparently, he died in 1910 (according to FindaGrave). There is no evidence that he ever married — he was still living with parents in his 30s in the 1900 census. Charles Young is the last of the male siblings in this generation. I haven’t found much on him past 1900. 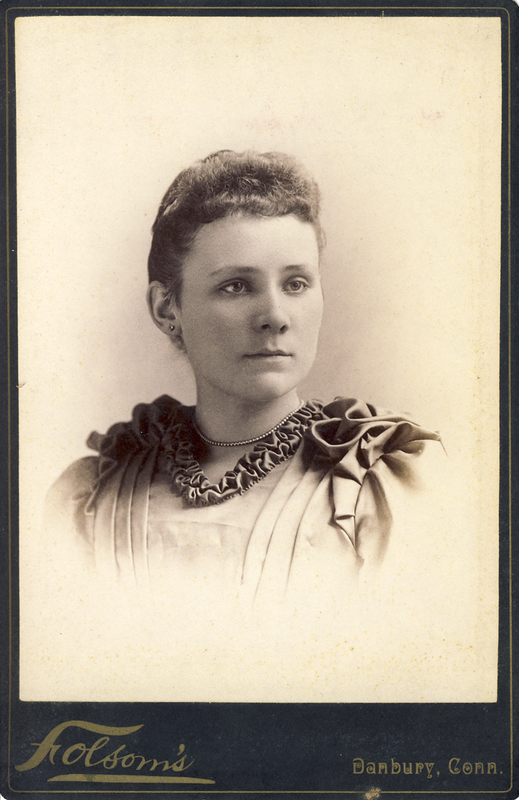 Edith M. Young married Emerson Ballard (related to the other Ballard above?) and they had a daughter, Alpha Margaret. Another Ancestry member found her death index record and her married name was Claus. She died in 1997. No record that she had children. 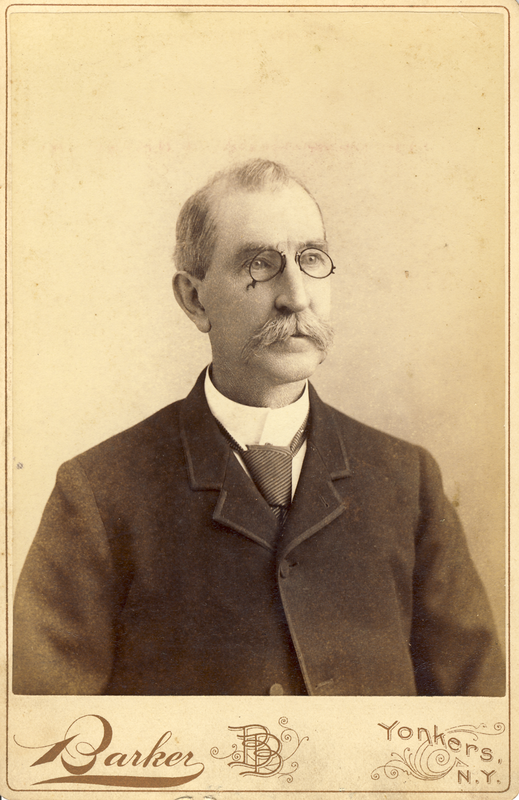 Henry F. Young (one of Frederick’s grandsons via son Henry Samuel Young) — never married? Found birth and death dates… Haven’t found much on his sisters yet either. George R. Young (Henry F.’s brother) — died in 2003 in Connecticut according to the SSDI; need to follow up and see if I can find an obituary for him. Ernest G. Hawley (the younger, son of Frederick’s daughter, Cornelia): one member tree says (unsourced) he died in 1969; married Dorothy Mae Levine 24 Nov 1938 (not well documented). 1860 U.S. Census, Litchfield County, Connecticut, population schedule, page 15, dwelling 125, family 125, Henry Young and family; Ancestry.com : accessed 27 May 2011. Roll: M653_82; Page: 601; Image: 16; Family History Library Film: 803082. 1905 New York census, Westchester County, New York, population schedule, Yonkers, page 18, family 42, FamilySearch.org : accessed 20 May 2011. FHL film number: 589664. 1910 U.S. Census, Westchester County, New York, population schedule, Yonkers, page 18, dwelling 34, family 333, Calvert H. Young and family. Ancestry.com : accessed 20 May 2011. Roll: T624_1093; Page: 18A; Enumeration District: 0179; Image: 956; FHL Number: 1375106. 1920 U.S. Census, Westchester County, New York, population schedule, Yonkers, page 15, dwelling 79, family 370, Calvert H. Young and family; Ancestry. com : accessed 20 May 2011. Roll: T625_1280; Page: 15B; Enumeration District: 230; Image: 649. 1930 U.S. Census, Fairfield County, Connecticut, population schedule, Ridgefield, page 7, dwelling 121, family 123, Richard M. Young and family; Ancestry.com : accessed 22 May 2011. Roll: 259; Page: 7B; Enumeration District: 173; Image: 51.0. 1930 U.S. Census, Westchester County, New York, population schedule, Yonkers, page 15, dwelling 180, family 222, Stanley A. Young and family; Ancestry.com : accessed 20 May 2011. Roll: 1668; Page: 15B; Enumeration District: 63; Image: 949.0. FindaGrave Memorial 49155167, William H. Young; FindaGrave.com (www.findagrave.com : accessed 24 May 2011). RootsWeb Obituary Daily Times record, Richard S. Young; RootsWeb (http://www.rootsweb.ancestry.com/~obituary/ : accessed 22 May 2011). Social Security Death Index record, George R. Young (Connecticut); Ancestry. com (www.ancestry.com : accessed 27 May 2011). A while back, I found a 1920 census listing for Friends Album subject Frederick A. Young and fam and noticed that there was a family by the name of Wilson in the household next door. Is this a coincidence, given that there’s an Ellis Wilson in the Friends Album? Certainly ‘Wilson’ is a very common surname, but I felt I needed to dig deeper to see if I could find a connection to these neighbor Wilsons. Ellis’ parents were Clarence T. Wilson and his wife, Susan. I haven’t really fleshed out their extended family or previous generations at this point because I was more interested in looking for more recent generations. The Wilsons living next to the Youngs in 1920 are George R. (age 58), his wife Libby A. (age 60) and George’s mother, Elizabeth A (age 74). George is listed as a farmer. The Wilsons are living next door to the Youngs in 1910 as well. Daughter Emma M. (age 24) is in the household at that time, as is son George E (age 15). In 1900, the clan is even bigger. Another daughter, Libbie Belle, is with the family, along with mother-in-law Emily Hirst. Not only that, but there is another Wilson household right next door to them (on the other side from the Youngs): Albert and Annie, along with their son, Charles. Most of these neighbor Wilsons have roots in New York, Connecticut or England. After looking a bit more into Clarence’s family history, however, he and his siblings were born in Massachusetts. Clarence’s parents hailed from Connecticut though. I’m trying to flesh out his father’s life a bit, but for now, there’s no clear connection between Ellis and his family and the Wilsons who were neighbors to the Youngs. I suppose that there doesn’t really have to be such a connection between Ellis Wilson and the Youngs pictured in the album. The album is titled “Our Friends” and so it could be a hodge-podge of a acquaintances who are not related to each other in any way. 1900 U.S. Census, Fairfield County, Connecticut, population schedule, Newton, page 10, dwelling 90, family 94, Albert Wilson and family; Ancestry.com (www.ancestry.com : accessed 15 May 2011). 1910 U.S. Census, Fairfield County, Connecticut, population schedule, Newton, page 15, dwelling 170, family 174, Geroge R Wilson and family; Ancestry.com (www.ancestry.com : accessed 15 May 2011). 1920 U.S. Census, Fairfield County, Connecticut, population schedule, Newton, page 14, dwelling 240, family 249, George R. Wilson and family; Ancestry.com (www.ancestry.com : accessed 15 May 2011). Reverse of Friend No. 32's photo. Friends 33 (left) and 24. The eyes, nose and chin are all a match to me. Both photos appear to be taken at around the same time period and both were taken in Danbury, Conn., though at different studios. Photo No. 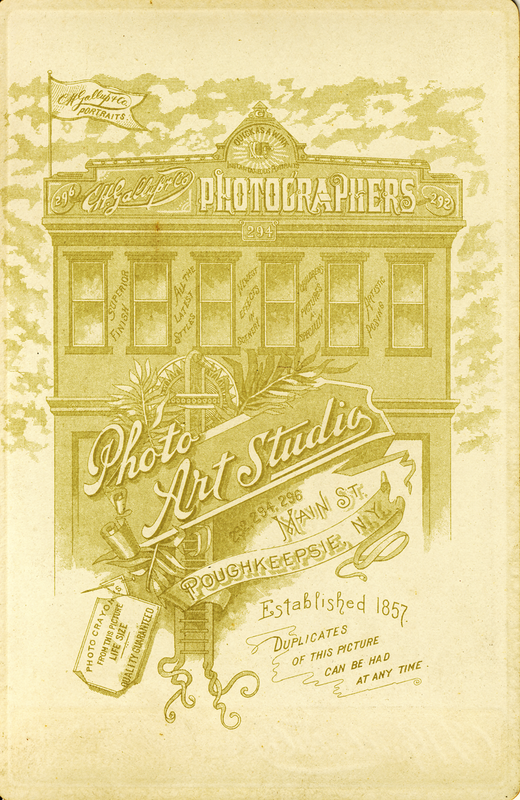 33 is taken at Mrs. J. H. Folsom’s studio — she got a lot of business from these folks! In fact, this is a second photo/view of Friend No. 7! I thought this dress looked familiar, but I didn’t recognize it until I started going through all of the photos again for the spreadsheet I am creating. Closeup view of Friend No. 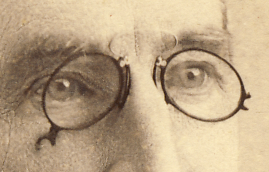 30's spectacles. Too bad there’s no identifying marks on this photo besides the photographer’s imprint. 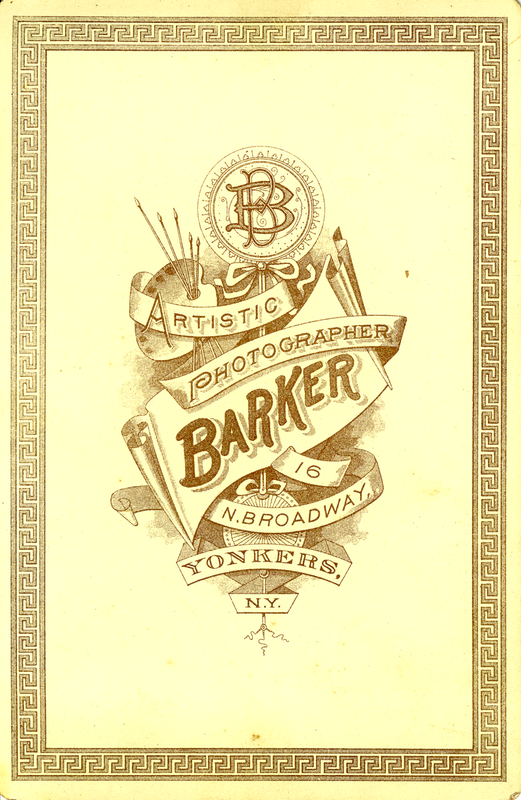 We met Byron Barker before, way back when I posted about Photo No. 3. His studio’s at a different address than for that photo though. 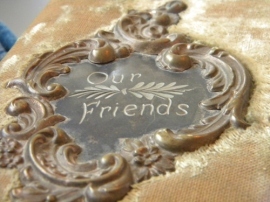 Reverse of Friend No. 30's photo. I previously found him at the address above in an 1886-87 Yonkers city directory. 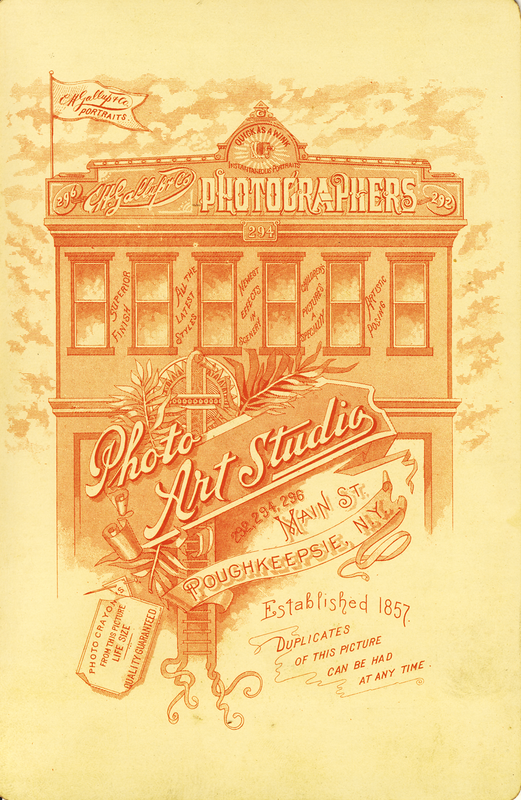 By 1892, he’s at the other studio, so this photo is pre-1892. Reverse of Friend No. 31's photo. Interestingly, this photographer proved harder to find. I resorted to manually searching the New Milford directories. He doesn’t appear in 1884-85 or 1888-89. I did eventually find John J. Walklet listed at 27 Bank Street in the 1891-92 New Milford directory. 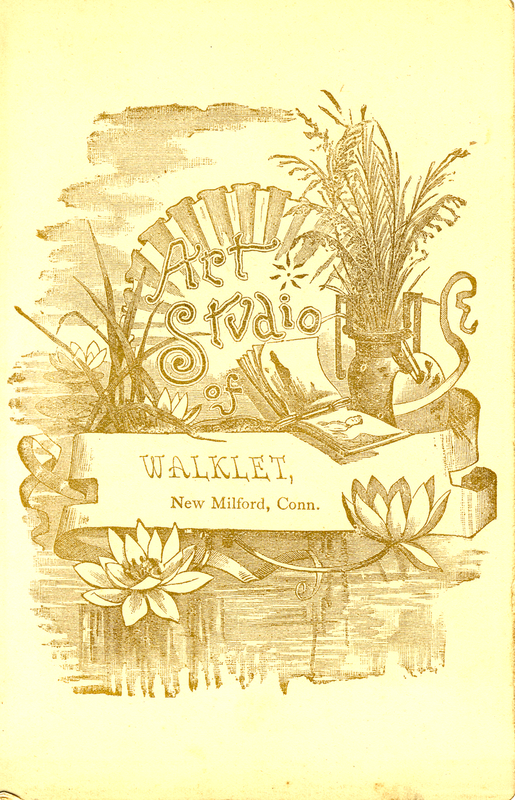 The studio is still in New Milford, but at a different address, in 1897. New Milford Directory, 1891-92 and 1897, J. J. Walklet; Ancestry.com (www.ancestry.com : accessed 24 March 2011). Thompson and Fowler’s Second Annual Directory of The City of Yonkers, For The Year 1886-87, p 42, Byron Barker; Ancestry.com (www.ancestry.com : accessed 6 March 2011).